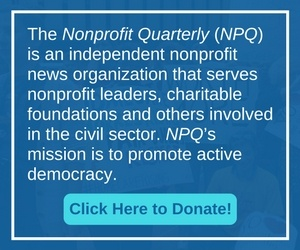 In this issue of the Quarterly we begin to chronicle the combined effects on nonprofits of the economic downturn and a shift in presidential administrations. What kinds of challenges are nonprofit managers facing and what decisions are they making in the face of cascades of both problems and opportunities? With foundation payouts declining, what are the financial prospects for nonprofits in 2009–2010? Don’t bury your message: your communications count now more than ever. In universities across the nation, applied learning curricula offer students real-world nonprofit experience and challenge in classroom settings.